Wonderful creation!! Thanks for sharing it with us at CCCB! 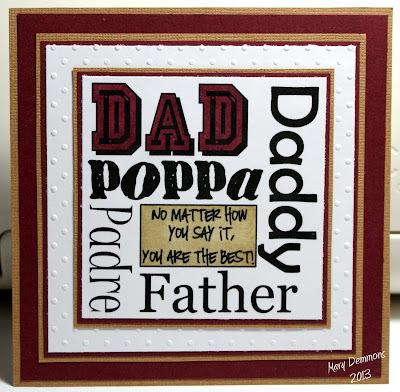 Fabulous card for Fathers Day ... Thanks so much for playing along at CCCB! Wonderful card! 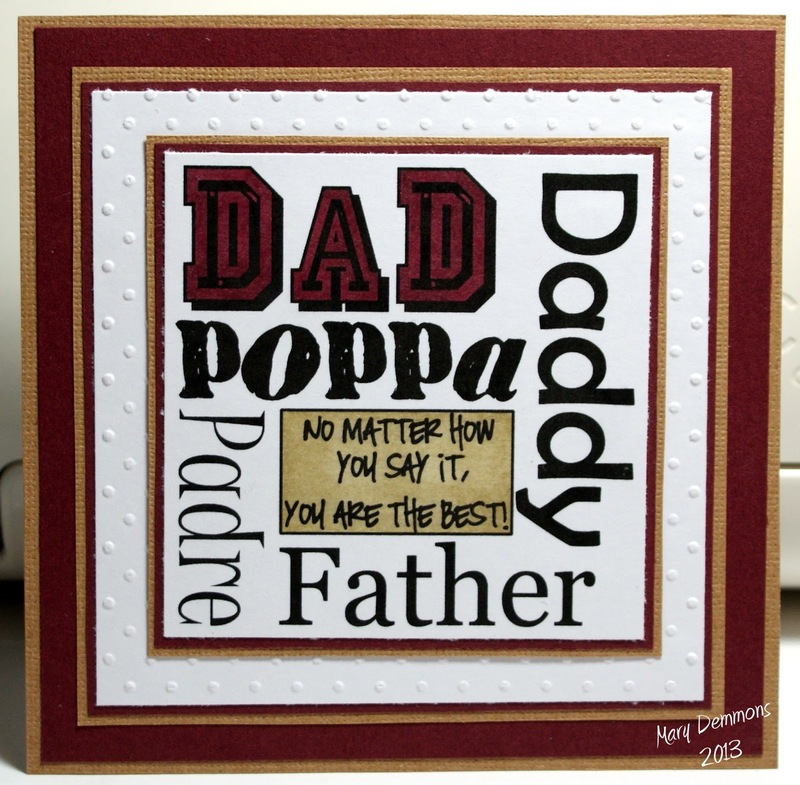 Love the colored kraft paper and all the dad words...so fun and festive! Thank you so much for getting krafty with us this week here at Simon Says Stamp & Show! Awesome card! LOVE all the layers and that touch of texture with the dry embossing. Thanks so much for joining us at A Gem of a Challenge this week! Adorable card!! Thank you for joining us at Sister Act Card Challenge!!! Great work, thanks for joining us at CCC. What a wonderful, original creation! Just right for Father's Day! Thanks for joining in at Dream Valley! Very nice card, very simple, but it gets the point across, Love it! Thanks for joining the Eureka! Stamps Challenge this week.